Watch this short video to learn what a HERS rated home is and the importance of this rating in your new home. 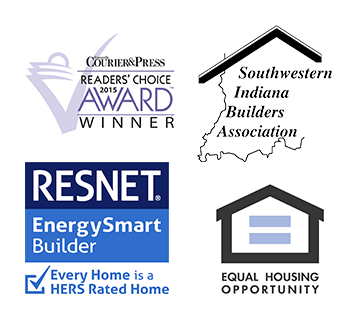 At Eagle Construction, we are a certified RESNET Energy Smart Bulder and all of our new homes are rated on the HERS Index. The Home Energy Rating System (HERS) Index is the industry standard by which a home’s energy efficiency is measured. It’s also the nationally recognized system for inspecting and calculating a home’s energy performance. We use this nationally recognized system on all of our new homes in Evansville and Indiana, Newburgh Indiana. A community friendly company building homes to benefit United Way and Easter Seals. Eagle Construction is a RESNET Energy Smart Builder. A Builder Committed to Increasing the energy efficiency of the home we build for you.  Homes by Eagle, as a RESNET Energy Smart Builder, is committed to increasing the energy efficiency of the home we build for you. Your home will be more affordable to maintain, more comfortable to live in and have a higher resale value. RESNET is a nationally recognized corporation committed to reducing homeowner utility costs thru energy efficiency. RESNET is recognized by the US Dept of Energy and the EPA. We can assure your energy efficiency thru an inspection by an independent RESNET home rater. He will perform an insulation inspection, blower door and duct blaster test. The results from these tests along with the products used in your home, will determine your RESNET HERS (Home Energy Rating System) Score. See the chart to the left for the HERS Score Chart – a lower number is better. A Homes by Eagle Home scores an average of 58†- a whopping 42% energy savings over other new homes. Your newly built Eagle Home will save you $1257 per year over an existing home and $718 over a new home built to current energy standards‡. Not only do you have extra money in your pocket, but your home will be more comfortable to live in and have a better resale value. When shopping for a new home, be sure to ask and look at their HERS Reports. ‡ Savings are for single family homes in the US developed by the National Renewable Energy Laboratory. Savings will be based on house type, orientation, house size, utility rates, climate and operation of home. https://homesbyeagle.com/wp-content/uploads/2016/01/eagle-construction-cascade-home.jpg 600 800 theVR https://homesbyeagle.com/wp-content/uploads/2019/01/Homes-by-Eagle-v2.png theVR2016-01-19 16:06:042019-01-31 10:42:42Eagle Construction is a RESNET Energy Smart Builder.